According to a new market report “Human Reproductive Technologies Market - Global Industry Analysis, Size, Procedures, Share, Growth, Trends and Forecast, 2013 – 2019,” the global market for human reproductive technologies was valued at USD 23.0 billion in 2012 and is expected to reach USD 27.1 billion in 2019, growing at a CAGR of 2.2% from 2013 to 2019. Human reproductive technologies include procedures and therapies for conceiving or controlling pregnancy by means of artificial and/or semi artificial medical solutions. Lack of awareness about the reproductive deficiencies and their treatment necessity and availability has been limiting the market to explore its potential value. Therefore, awareness strategies adopted by market players with proper guidance for patients will fuel the emerging human reproductive technologies market especially the infertility treatment market. Developing regions such as the Asia-Pacific, Latin America, Africa and Middle-East hold the maximum growth potential in the human reproductive technologies market. Some of the other factors contributing to the growth of human reproductive technologies market include delay in conceiving, lifestyle habits such as smoking, excessive alcohol consumption, increasing use of contraceptive pills and devices, and rising incidences of infertility. The infertility treatment market is characterized by the presence of many leading patented drug brands which are restraining the entry of generics and hence, creating a monopolistic situation. In addition, due to patient sentiments attached to infertility treatment procedures, risk ofno conception due to a low-quality generic drugis usually avoided. This report includes market analysis for seven major (by sales) branded formulations of infertility drugs, namely, Gonal-f, Follistim AQ, AndroGel, Testim, Viagra, Cialis and Levitra/Staxyn. 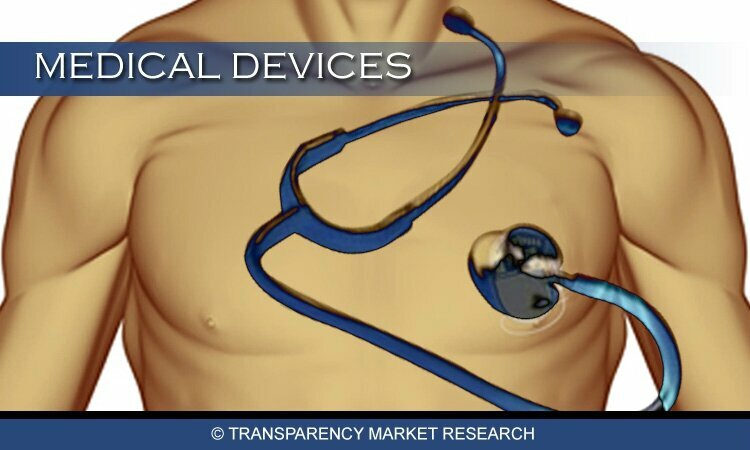 Similarly, the contraceptive drugs and devices market has many drugs in the research pipeline awaiting commercialization to grab a share of this potential market. Large and well established pharmaceutical players such as Merck Serono, Merck & Co., Inc., Bayer AG, Pfizer, Inc., Actavis plc, Ferring International Center S.A. and Teva Pharmaceutical Industries Ltd. dominate the human reproductive technologies market. The global contraceptives market was valued at USD 16.0billion in 2012 and is expected to grow at a CAGR of 5.5% from 2013 to 2019. The oral contraceptive pills market lead the overall contraceptives market in 2012 in terms of revenue, mainly due to increasing population awareness through advertisements enabling patients to buy them over-the-counter. In the contraceptive devices market, male condoms formed the largest market segment owing to the increased accessibility and awareness along with their ease of use. The infertility drugs market studied in this report include leading brands from three drug classes, namely, gonadotropins, androgens and erectile dysfunction drugs. Among these, Viagra was the largest brand by revenue in 2012 among others considered in the study due to increasing cases of erectile dysfunction in male infertility. Moreover, it has been a well-established and popular brand since its approval in 1998 by the U.S. FDA. Gonal-f in the gonadotropin class is the leading brand prescribed by majority of the infertility specialist due to better results achieved using it. For testosterone deficiency which is one of the major infertility causes in male patients, AndroGel is the blockbuster drug being preferred for the treatment. Generic manufacturers such as Watson Pharmaceuticals and Par Pharmaceuticals are expected to enter the market with their generic versions by 2015. Among the infertility procedures, intrauterine insemination (IUI) is the most preferred treatment procedure due to its low operational cost and equal success rate compared to intracytoplasmic sperm injection (ICSI) and in vitro fertilization (IVF), which follow IUI in terms of preference. The simplicity of performing IUI is what attracts the healthcare professionals to prefer this procedure over others. Zygote intrafallopian transfer (ZIFT) and gamete intrafallopian transfer (GIFT) are the least popular procedures performed worldwide, accounting for about 0.1% of the total ART treatments. This is due to the higher procedural costs and complexity in performing these procedures. North America dominated the global human reproductive technologies market in 2012 and is expected to maintain its leading market position till 2019. However, the Asia-Pacific contraceptive technologies market is estimated to grow at a faster pace (CAGR of 6.9% from 2013 to 2019) mainly to the rising awareness and acceptance of reproductive technologies in this region. Entry of large market players such as Merck Serono, Ferring International Center S.A. and Merck & Co., Inc.will also drive the market in the Asia-Pacific region. Some of the key players in the global human reproductive technologies market include Abbott Laboratories, Bayer AG, Merck & Co., Inc., Merck Serono, Teva Pharmaceutical Industries Ltd., Pfizer, Inc., Watson Pharmaceuticals and Reckitt Benckiser. The global meningococcal vaccines market is studied on the basis of vaccine types such as polysaccharide, conjugate and combination vaccines. The vaccine types are further segmented into different brands. The report also highlights and analyzes various brands under pipeline segment, namely, Bexsero, MnB rLP2806 and NmVac-4DT. A detailed market analysis and forecast for these segments has been provided in this study, in terms of revenue (USD million) for the period 2011 to 2019. The report also provides the compounded annual growth rate (CAGR %) for each meningococcal vaccine segment and brand for the forecast period 2013 to 2019, while market size estimations have been made considering 2011 and 2012 as the base years.